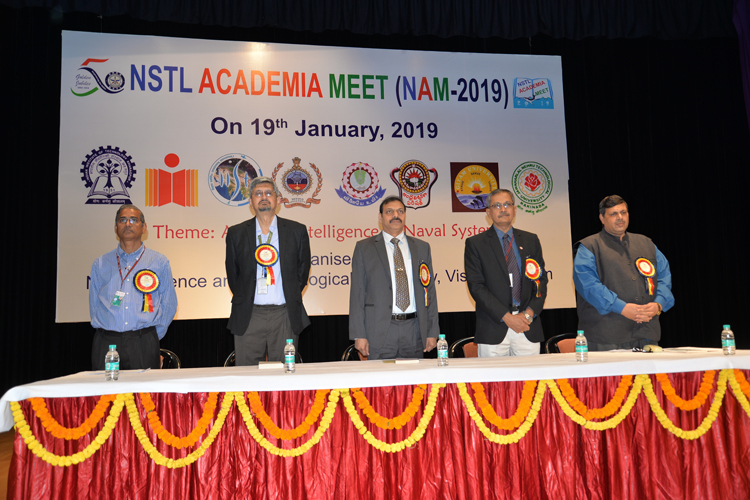 Naval Science & Technological Laboratory (NSTL) organized the NSTL – Academia Meet (NAM 2019) at Mohapatra Manasi Auditorium, NSTL on 19th January 2019. With the theme "Artificial Intelligence for Naval Systems", NAM 2019 provided the ideal platform for deliberation and discussion on the topic of Artificial Intelligence (AI) and its application to defence systems, with specific emphasis on naval systems. A galaxy of researchers and faculty from 18 Universities, technologists and system developers of six labs of the DRDO - NSTL, NMRL, CAIR, NPOL, DMRL & DEAL actively participated in the meet and exchanged views and ideas in the exciting area of research - AI. 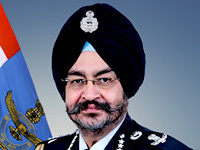 Speaking on the occasion, Dr OR Nandagopan, Outstanding Scientist and Director NSTL described the academic institutes as fountainheads of innovation, and expressed hope that NAM 2019 would help bridge the gap between academia and R&D institutes and bring out a roadmap for futuristic research in respect of AI-enabled naval systems. The Distinguished Guest at NAM 2019, Dr Samir V Kamath, Distinguished Scientist and Director General (Naval Systems & Materials), DRDO, recalled the contributions of academia the world over in fostering a spirit of enquiry and harnessing innovation and creativity to meet social and technological needs of the society at large. 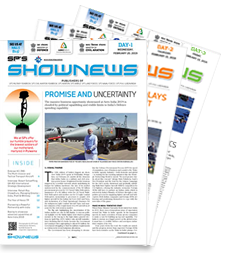 He opined that AI would play a major role in the battlefield of the future, and hoped that the participants would benefit immensely from the interaction. The Chief Guest Prof G Nageswara Rao, Vice Chancellor of Andhra University commended the initiative, calling it 'timely and apt', and exhorted researchers to give their creative best towards development of 'best in class naval systems'. The Keynote Address was delivered by Dr Anil Kumar Agarwal, Director ER & IPR, DRDO, followed by expert talks on various topics of contemporary and futuristic relevance by Technology Directors of NSTL, and Professors from Universities. 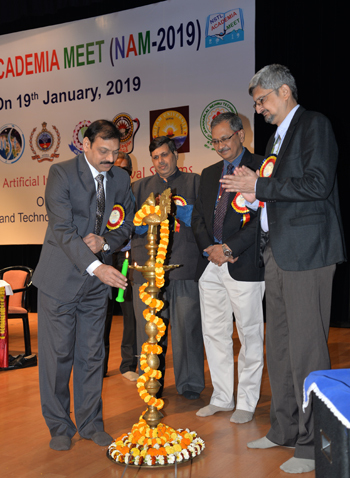 Shri G Ravi Kumar, Technology Director NSTL and Chairman NAM 2019, a large number of researchers, scientists and academicians participated in NAM 2019.